Color is a service of Adobe Creative Cloud that generates themes for use in Adobe desktop apps such as Photoshop and Illustrator, and Adobe mobile apps such as Illustrator Draw and Photoshop Sketch. A web tool for selecting colors. It allows you to filter by number of data series, data type, and other attributes. Palettes are provided from a finite source of palettes. Color Contrast Checker is a free tool that you can use to test the contrast on your foreground and background colors. Developed by Mari Johannessen, you simply type in your color HEX codes and it gives you a color contrast ‘score’. Color Cop is a free, multi-purpose color picker for Windows for use by web designers and programmers. It identifies and represents colors in various hex color code formats. Color Hunt is a social platform for sharing color palettes. They pick and collect curated color combinations which are defined by digital HEX codes. Color Oracle is a free color blindness simulator for Windows, Macs, and Linux that takes the guesswork out of designing for color blindness by showing you in real time what people with common color vision impairments will see. ColRD provides tools to inspire your search for the perfect color. Create, save, and share color palettes, or use their library to choose another palette. Shares design inspiration through nature-inspired color palettes. An app that allows you to create a color palette from a photo by simply tapping on colors in the photo to add color swatches along the bottom. A collection of repeatable SVG background patterns for you to use on your web projects. You can also download and move into your favorite editing program to use in your other projects such as slide decks or infographics. Growing source of information about color theory, color perception, color vision, and color combinations. You can create custom color palettes and check against an example, as well as use their color vision deficiency tool to check for consistency with color blindness. Google, but for colors. Enter a search term and a series of color swatches pops up. Wide range of color selections that you can pair together and obtain shades, tints, and other combinations. App available through the iTunes store, this tool lets you visualize colors as they are perceived with various types of color blindness. Move the Sim Daltonism window over something on the screen and see what it looks like with a color blindness. Beautiful color gradients for designers and developers. Vischeck simulates colorblind vision. It is a way of showing you what things look like to someone with color vision deficiency. 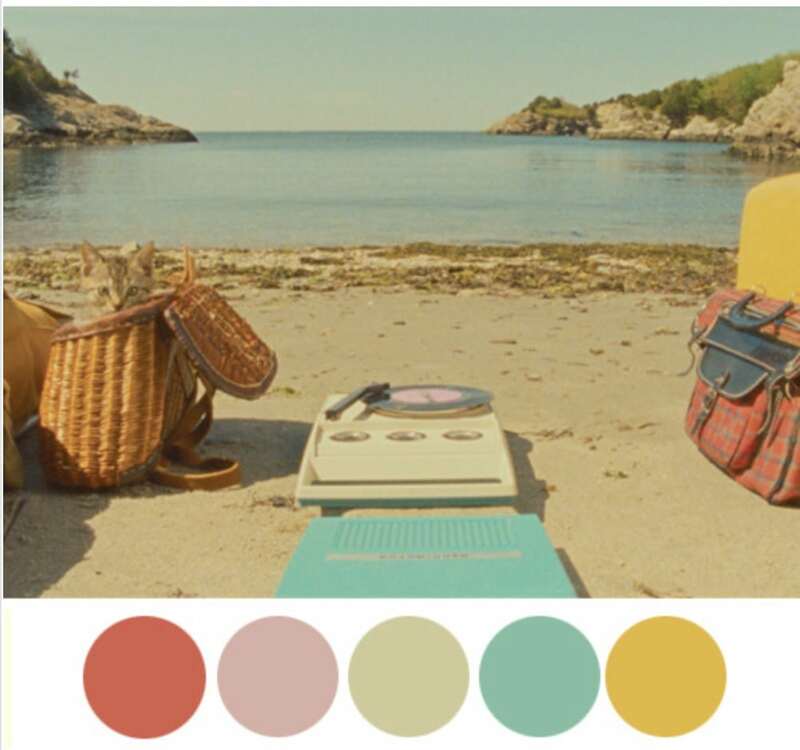 Yes, a series of color palettes based on stills from Wes Anderson films.